The Indian High Commission in London has started using typewriters to protect themselves against spying. This is quite old fashioned,but Jamini Bhagwati, Indian High Commissioner in London told the Times of India "Top secret cables are never conveyed through the internet or machines with cable connections. External hard drives with tremendous amount of data storage capacity are easy to access. 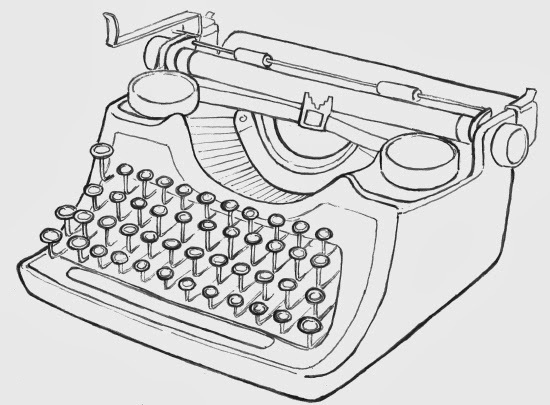 Therefore, top secret cables are written on the typewriter which can't be tracked." Typewriters have come out since the recent revelations made by Snowden, where he showed that the NSA has been using different kinds of devices to spy on the Indian diplomats and military officials.The employees has been asked to be careful when discussing classified information inside the embassy premises for fear of bugs planted by international security agencies. 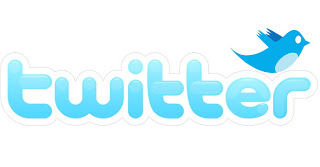 Twitter has launched Twitter Alerts on September 25 a new feature called Twitter Alerts.They said that this application could be very useful during natural disaster or any other emergencies when normal channels are unavailable.Gaby Pena said on Twitter blog,"We know from our users how important it is to be able to receive reliable information during these times. "When users sign up for an account of Twitter Alerts, they will receive a notification directly in their phone for tweets marked as alerts by the senders. A series of organisation have already been authorised to send such alerts and Twitter will expand this service to "public institutions and NGOs around the world." 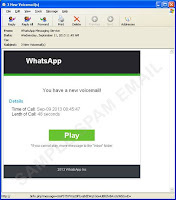 Security researchers from TrendLabs have come across a new method how attackers are distributing malicious element,that is by spamming by using the name of Whatsapp. 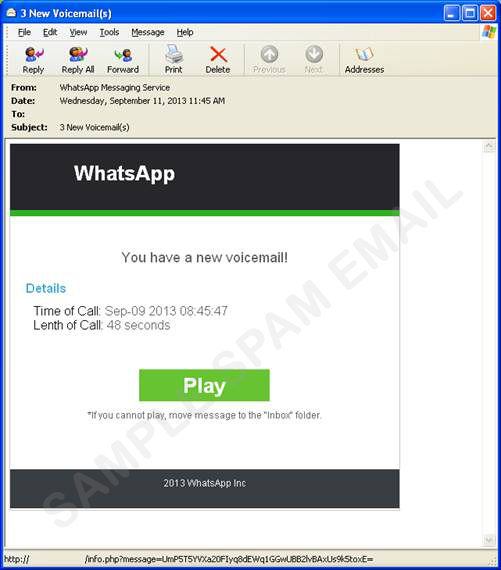 Victims are receiving spammed messages saying that they have receive a new voice mail.The message includes details like time and length of the voice mail to make it look more genuine.Once the victim clicks on the play button,they are sent to a malicious site.There they are warn that their browser is outdated and are asked to update and need to click on a download button.It is at that moment that the malware is downloaded and will be a .jar file named 'browser_update_installer.jar'. 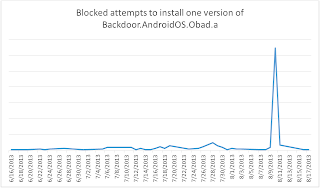 On Android and iOS, a .apk file with the same name will be downloaded, which is detected as ANDROIDOS_OPFAKE.CTD.This malware will also try victims to download other app on the device. 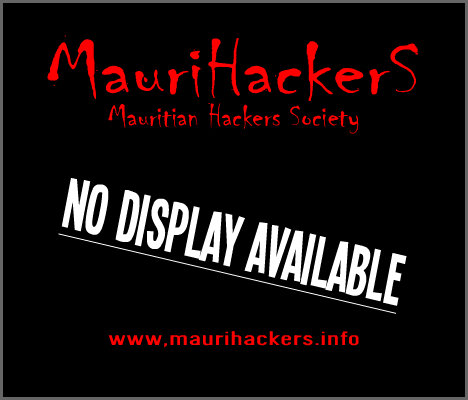 We strongly advise our readers not to follow any such link or download any files which comes to you in this particular way. Bionym, a security company in Canada has developed a new authentication device which uses a person's heartbeat as a biometric identifier. 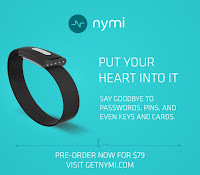 The device which is a bracelet and is called Nymi, reads the electrocardiogram of the person wearing it and when the heartbeat is confirmed,the bracelet becomes an authentication device that can access computer networks, computers, hotel room doors, and airport kiosks.This technology is an alternative to passwords,PINS,key and cards. A promo video as well was publish on YouTube to demonstrate how this new device work. Christopher Doyon, known as Commander X in the cyber world posted a farewell message on pastebin.com.Titled as "Farewell Statement From X" , he explained why he is quitting everything and what he will be doing. Commander X is today homeless, without family and he clearly described what he is going through in his farewell message. An exact copy of what he wrote has been pasted here for our readers. I have been an activist for 30 years. My entire life has been dedicated to fighting for justice and freedom, for both human and animal rights. For 28 of those years I have been what some call a "hactivist", and in the past 5 years I have been a part of the amazing idea called Anonymous. 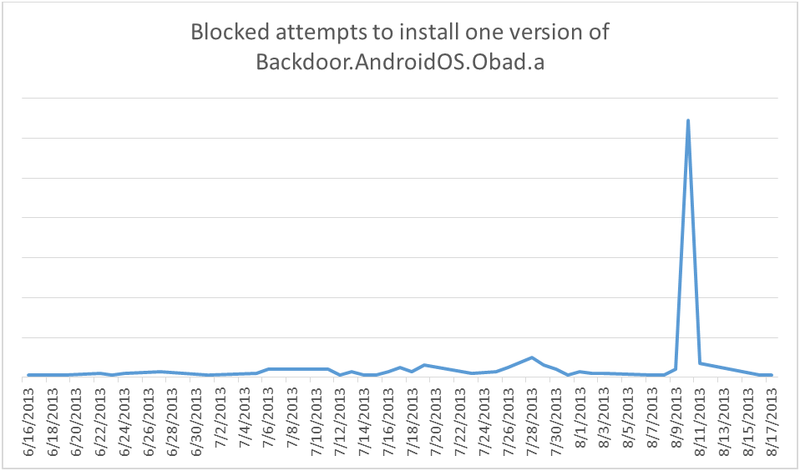 In fact, during these past 5 years I have dedicated an average of 10 hours a day to cyber-activism within the context of the PLF and Anonymous. In the course of these events, the persona of "Commander X" has developed and expanded to almost mythic proportions. In a sense the "Commander X" persona has become a bit like BatMan, a sort of cyber-super hero. But like BatMan, the impossible persona of "Commander X" rests upon the shoulders of a simple man. And like all men, I have frailties, weaknesses - and limits. In the past few years, in order to support this "Commmander X" persona I have sacrificed my family, my freedom, my home - and even my country. I will never regain these, I will die as a man without a family or country. I will die alone in a foreign land, my ashes spread across a foreign forest. I have no regrets in this regard, "Commander X" made a difference - he saved lives and inspired thousands to join this critical fight for the very soul of humanity. But in addition to the sacrifices named above, the past few years of endless work on the PLF and Anonymous have thoroughly wrecked my health, physical, psychological - and spiritual. "Commander X" may be invincible, but I am extremely ill from the exhaustion and stress of fighting in this epic global cyber war. I always believed I would have the strength to fight until the bitter end. I do not. I can not go on, and as of this moment I permanently and completely retire from cyber-activism, the Peoples Liberation Front - and Anonymous. I have removed my mask from the wall of my office. I am an Anon no longer. The majority of things that I have sacrificed in order to bear the persona of "Commander X" are lost to me forever. I can never endanger my family by contacting them, and I can never return to the USA. But there is one thing, one delight of my past life that I thought lost to me forever that I can recover. Many years ago, long before the eruption of this global cyber-war - I was an amateur scientist in the field of Machine Life (autonomous robotics) and AI (artificial intelligence). For five or so years I had a lab in my basement filled with dozens of robots ranging from those the size of a large spider to bipeds two foot tall. As for AI, there is nothing like the thrill of writing code that is capable of learning, code that can literally rewrite itself. Code that can think, respond intelligently - even create. Those years were the happiest and most intellectually fulfilling of my life. Lately, here in Canada - I have been picking up some small and discrete web design and network security jobs. I have managed to be able to rent a spare, small and very plain office and furnish it with simple things like a microwave and coffee maker. It is in this space that I intend to take up once again my amateur research into the field of autonomous robotics and artificial intelligence and rebuild my laboratory. The field has progressed much since I was drawn away from it into the great global cyber-war, and I look forward to all the catching up I have to do! In addition, I will re-establish the Machine Life & Artificial Intelligence Foundation which I founded so long ago as a repository for my research. 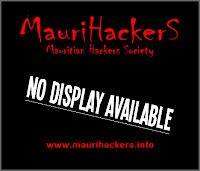 For those few true friends I have out there in the movement for whom these things are interesting, I have established a new personal Twitter account @M0RPHE0US where I will tweet about things related to this field. But PLEASE, no politics or activism. These things are finished for me. Commander X will now step off the stage of history, and fade into the mists of myth and legend. Hopefully his sordid and exciting story will inspire others to take up the fight for justice and freedom. As for the tiny simple man upon whose shoulders he rested, he will now spend his days in sheer delight watching the antics of his little robots, and his nights talking to computer programs that can think and dream.